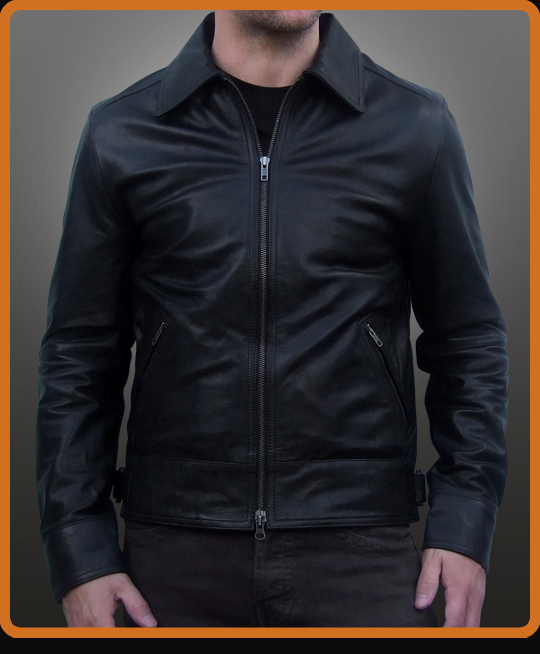 Stylish waist length leather jacket with contrasting stitching. Detailing includes lower front zip pockets, side waist adjusters and popper cuffs. Brass zips. Available in Black and Antique Brown.